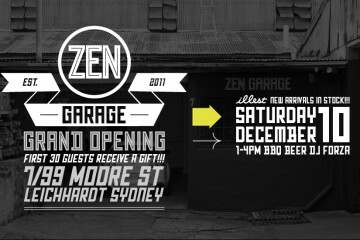 Come and join us for the official opening of Zen Garage in Leichhardt Sydney on 10/12/11 at 1pm. It's been a long time coming and we're excited to finally be op... Read More. Beer'O'Clock came early at Zen Garage today as ELMO, our handy Japanese overhead projector came out to play. Luckily for us Clifton and Timmy dropped in to hang... Read More. Crazy cold in here on a cold day, crazy hot in here on a hot day so we've done something about it and employed a couple of ceiling fans for the warehouse space,... Read More. 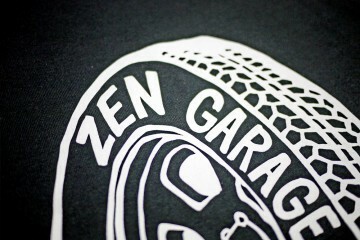 Zen Garage T-Shirts are here! 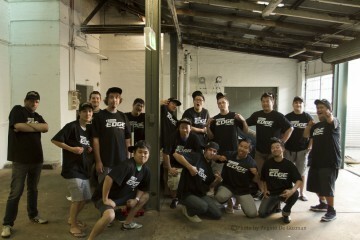 Super exciting day for us today as we received our shipment of Zen Garage T-Shirts from Red Octopus in QLD! 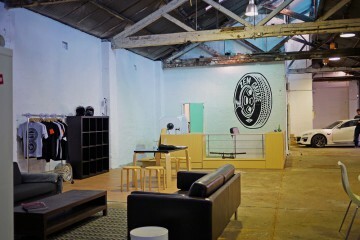 The enso wheel design has been lovingly screen print... Read More. We made some decent progress with the space this weekend. The exterior Zen Garage facade has been painted battleship grey, carpet tiles went into the office, a ... Read More. 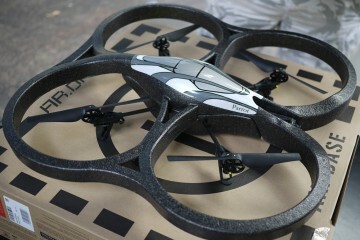 Boys & their toys aye? Anoop from Time Out Sydney took the time out (kekeke) to drop into Zen today to A) Check out our space, and B) play with his new toy. It'... Read More. 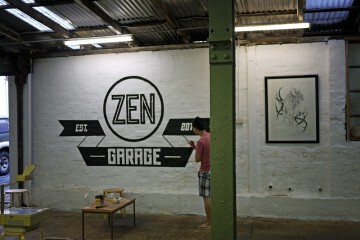 It's been a while since we had a Zen Garage update, so here it is! SHOP: We're still stockless, but the good news is that stock isn't too far away, and will... Read More. Saturday afternoon was for NINJAS, beer, pizza, pong and Forza, oh and a little bit of plasti dipping! 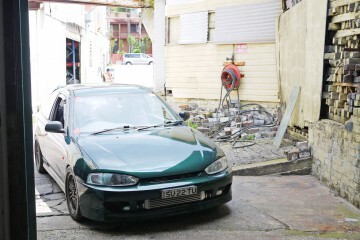 Matt from roadster life very generously donated th... Read More. Our good buddy Dayton dropped in earlier today to re-stock our fridge (he's a professional brewer at The Malt Shovel). Perfect timing as we only had 2 beers lef... Read More. 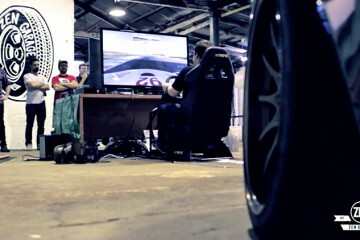 We had THA TITH BROTHERS attend our Forza Night last week and they've pumped out this amazing video for us. We hope you enjoy it :) Be sure to also check out th... Read More. 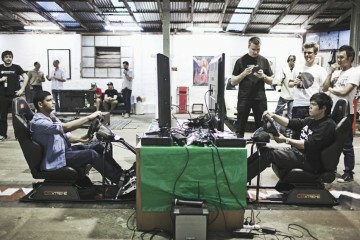 Last Friday night saw Zen Garage's 2nd event, this time around an industry night to launch Forza Motorsport 4. The lads from Xtreme Sim Gear were in early to se... Read More. Cant wait for Beer'o'clock later today. 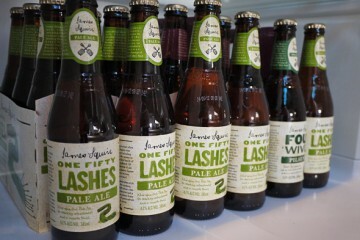 The beer fridge in the Zen Garage man cave is currently stocked up with tasty James Squire ales, bring on that Summer Vi... Read More.